Your front porch is the first thing that people see when they visit your house, so you want it to be fun and welcoming. There are many ways you can decorate your garage this holiday season. 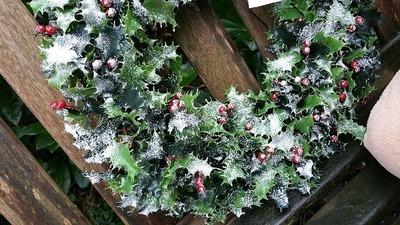 If you want to keep it easy, add a wreath to it – or make your own. If you are up for a bit of a challenge, do something bigger! Grab a large piece of scrap wood or pick up some new wood at a hardware store. Paint it or stain it. Trace letters onto the wood and paint whatever word you want on there. You could write “joy”, “peace”, “believe” or anything that has to do with the holidays. Just paint in big letters so that it makes a nice statement piece on your porch. Then lean it up against your house by your front door. 1. Using your utility knife, cut a hole into the side of the plastic box. Use the hole to hold the light fixture or provide ventilation for your battery-powered candle. 2. Measure your waterproof ribbon so that it’s long enough to cover the three sides of the box. Leave some extra length so that you can fasten the ribbon down on the inside of the box, using electrical tape. Make sure that you have some ribbon left over for the top of the gift box. 3. Imitating a wrapped Christmas gift, tie a bow on the lid of the plastic box, then secure the lid to the box. Make several of these and group them together on your lawn and porch. 1. Make a zigzag pattern with your Command Clips, outlining the branches of the tree. Then go on to make the truck of the tree by outlining a rectangle at the bottom of the zigzagged clips. 2. Take your strand of lights and fasten them to the clips. 3. Use the remaining clips to hang your Christmas ornaments and the bow at the top of your tree. Plug it in and watch your garage door light up. 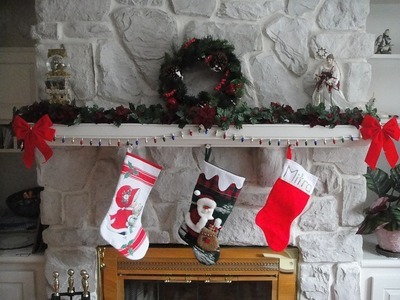 The mantle is not an unusual place to decorate for the holidays but you can still make it unique! Use a lot of fresh greenery to add some life to your fireplace. Real garlands draped over your mantle will also make your house smell great! For a different statement piece above your fireplace, lean a large thrifted frame against the wall. Take some burlap fabric and use it to hang a small boxwood wreath from the top of your frame. If you don’t have a fireplace, try using a long dresser and treating the top of it like a mantle. This one is really easy! Take the metal top off of the ornament. Write a short list of what you want for Christmas on your rectangle piece of paper. Fold it in half on the short ends and stuff it into your ornament. Fit it in so that you can still read it when the paper is completely inside the ornament. Take your glitter glue and write the year on the outside of the ornament. Put the metal top back on and let the glitter glue dry. Soon, you’ll be ready to hang your wish list ornaments. 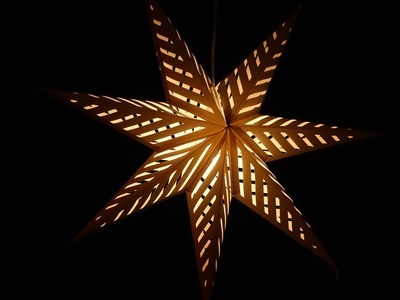 These are just a few different ideas for Christmas decorating. 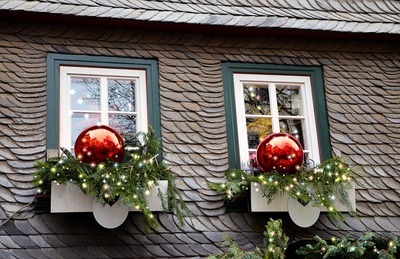 How will you be decorating your house this holiday season?